France ~ Initiation (Part I) – Where Angels Fear to Tread? Earlier this year I was surprised to feel the inner calling to return to the south of France. I’d thought I was finished with France. 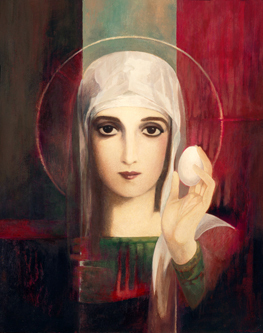 I was even more surprised to feel a connection again to Mary Magdalene as I was certain I’d left all that behind, never to be re-visited. Then the Cathars popped in too and all sorts of resonant information started collating itself in my close connections, social media, inboxes and other such places. As I said, I was very surprised to find this connection alive again because as far as I was concerned, I’d seen through all of the illusion and had no desire to get back involved with any of it again. I’d visited the area about 10 years previously and also in 2014 with a group. Though my time there in 2014 was incredibly awesome, there were other aspects that I’d come into realisation about afterwards that lead to me withdrawing energy from the stories and people of the area. I remember that even in 2014 I was surprised to hear from Magdalene again, as I hadn’t been feeling much of a connection for some years. Truly, it’s a living mystery how these things come about! In late 2013, and early 2014, I’d had two ‘callings’ from Magdalene in connection with the south of France. As it turns out, so had my friend Deborah. She emailed me “Magdalene is calling me, fancy going to the south of France with me?” Deborah and I had re-connected in 2014 in Malta/Gozo after several years of little contact between us – but one thing is for certain with Deborah and me, every time we met it was extremely activating for us both. Little did we know what this was setting off for us, and that our individual and joint stories would weave unexpected and unknown paths. In fact, I wonder at my own inexperience looking back – boy have I had initiation after initiation since then! I have also discovered since that our story wove with that of the Cathars as well as that of Mary Magdalene. When we discovered that there was a Cathar cave experience that the Cathar Initiates took part in we decided we simply had to include the cave expedition which several retreat participants decided to join us in too. Because of the turns my life took that summer, I never did blog about the retreat, sites and caves we experienced so I’ll be including that later on, but for now I’m skipping ahead to the story of the 2015 retreat. 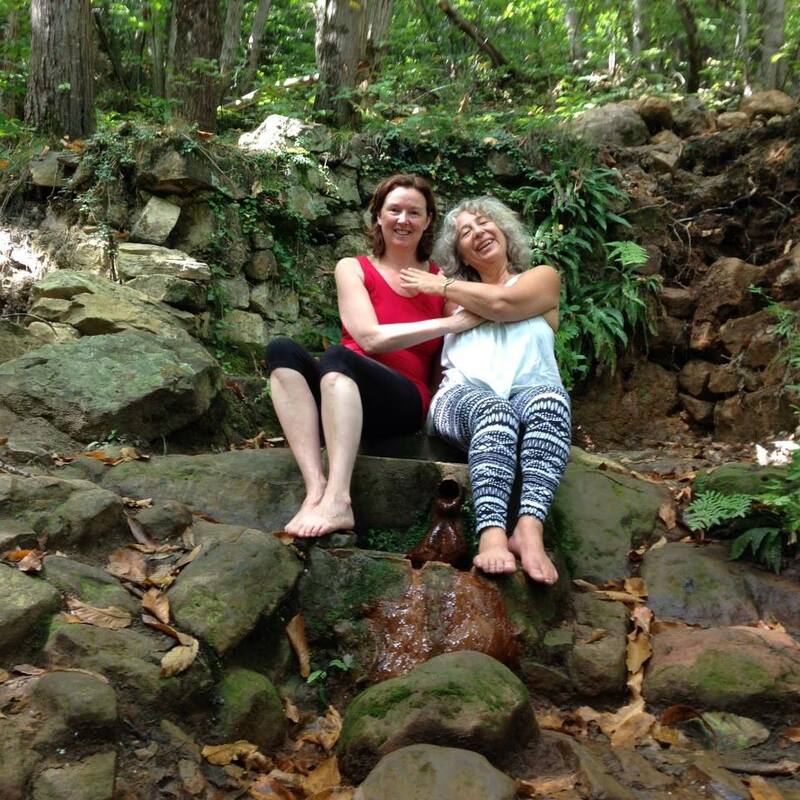 After the incredible energy and love we had for the place in 2014, we were highly enthusiastic to make this a yearly event, so whilst in the area we started to plan our next retreat for a year later, in September 2015. We both felt we hadn’t had enough time in the region – there was so much we still wanted to see and also that we would like to come and stay for a few weeks to totally immerse ourselves in the energies and be able to relax and let go without having a short time frame and busy agenda. We provisionally booked a hotel for our retreat, and started taking notes of gites for monthly rental. When Deborah and I both got downloads about the theme for the retreat we set up a time to discuss our ideas via Skype, she was in the USA and I was living in Ireland at the time. Immediately we’d set up the arrangement to chat, I started experiencing intense emotional and physical sensations, going into trances easily and feeling altogether altered. When we spoke, we both felt altered by each other’s words, and many truth bumps were felt. We didn’t have the full content but we had the title and the focus. – Initiation: The Sexual Mysteries of the Dark Goddess. Obviously asking for trouble with a title like that?! Yes. Whatever you offer, you must embody yourself, as I somewhat belatedly realised a year later. The next evening I was sitting watching something on Netflix when I began to feel distinctly odd in a way I hadn’t experienced before; my head was swimming and I had the sensation of spiralling downwards. I was also feeling increasingly dizzy, like an extreme version of inner ear imbalance. It got so bad I tried lying on the floor, which helped a little, but when I got up again, the dizziness became really bad again and I started to feel nauseous. I did all the asking inside and opened to receiving answers – nothing. I began to get a bit worried for my safety, I was living alone and the houses next to me were not occupied at the time. I decided to go to bed and hope it would pass by the morning. Bed didn’t improve matters, in fact it worsened and so I decided to address Spirit and demand that it stop and it did so quite quickly. I was fairly impressed with myself, and somewhat relieved, yet also confused and curious as to what it was all about but I fell asleep anyway. A couple of hours later I awoke with even more dizziness and this time I got up as I was unable to stop the nausea and I vomited. Shaking, I got back into bed and lay there, still dizzy, and asked again what it was all about. This time I got a reply. “I am the centre of the universe, all evolves around I Am. Nothing exists in separation, yet separation is natural.” Dark Goddess/Mother said. I could sense what She was telling me about manifestation – that if we desire something, it is ours, no doubt about that, and we must reach inside and just take it. Well, it was very clear in the moment, yet when I practised it; it wasn’t quite so easy… And the reference to the cave was from the first Initiation retreat when we had the Cathar Initiation Caves experience in 2014, which I will write about later. Afterward this experience with the Dark Mother I felt both elated and disappointed. Elated at the incoming message and connection with Her, and disappointed I hadn’t known that I must just let go in the spiralling down into the dark of Her womb. I asked that I have another chance and let it go at that. Whatever my personal judgement of the experience was it was also very clear that I was highly activated in connection with the second retreat concept in the South of France and it was all in alignment with our theme and purpose and was building intensity on the 2014 experience. Which made it all the more surprising when it all started to fall apart. I remember we had been planning quite effectively, content and practicalities coming together quite nicely, albeit that it felt lacking somewhat in the surprise, joy and spontaneity of the 2014 retreat. We’d decided to offer a tele-summit series as part of the retreat package in order to help prepare participants in advance. It was also going to be available for those wishing only an armchair experience. This was going to take the form of six unrehearsed conversations/discussions between the two of us of – this was our best way of creating together – highly charged energy dynamics which usually yielded interesting content with powerful insights and ah-ha moments. The theme was the same for the retreat -Initiation: The Sexual Mysteries of the Dark Goddess and we would be exploring female icons, sexuality and the mysteries of Isis, The Black Madonna, Magdalene, Kali, Pele etc. I did differ quite considerably from Deborah in this in so much as I had never felt much of a resonance with icons such as Isis and Kali and others, and indeed was fairly convinced they were limited concepts and I was unwilling to get sucked into the energy of them. I’d even backed off a bit from the Magdalene story, and was more focused on the Dark Mother as The Mystery. However, I was happy enough to talk about them, and bring forward my perspectives. Taj (Deborah’s nickname) and I were due to have our first one in February. Two days before I’d arranged to visit someone to do an exchange of energetic clearing work. During that meeting I brought up some issues I was experiencing, and it was put to me that I was holding onto a limiting belief, specifically a ‘Spirit program’ – the Magdalene/Jesus story … of the saviour/martyr and further, it was both the worst and the last one that one faced on the spiritual path, and as part of the control matrix, was well designed to trap ‘light-workers’. I was stunned and shocked as I listened and it did indeed resonate with me, and yet I was unable to really take it in. All I could think about was how much it had meant to me – how much of my past 10 or more years had been identified with this story. Having never been religious, the Magdalene story had come into my life and played a huge part. It was probably the only story I had not taken down, or had ripped apart. I felt my sense of self diminishing – who was I now without this part of my life? This was rather similar to what I experienced when my husband said he was leaving. I was also devastated to think about what I would say to Taj! How could I in all honestly, talk about all these goddesses who I believed were no more than spirit programs designed to ensnare in limited beliefs? I was also experiencing a huge sense of relief and freedom at letting go of the program, yet incredibly concerned at what I would tell Taj! Pingback: France ~ Initiation (Part II) « Where Angels Fear to Tread? I have experienced directly the power of asking and I’ve learned to be careful what I ask for – sometimes my demands have led to near-overwhelm. What’s most interesting and timely for me is your talk of limiting beliefs. I’ve received some insights recently that point me in this direction but I feel that I don’t have the knowledge to approach it in any structured way; I simply take things as and when they come to the surface. James, thank you for commenting. It’s funny, as how you describe ” I feel that I don’t have the knowledge to approach it in any structured way; I simply take things as and when they come to the surface.” is more or less how I act in regard to the power of asking – I don’t actually ask – I just go with what feels right and presented in the moment, and sometimes I feel close to overwhelm. Blessings. Peter, thank you for these beautiful words. I’m quite fascinated to hear that you got this from reading my words as it’s not something I am clear on at all – yet at the same time, I know that it is already known at some level, and writing show this up to others. I’ve read them again this morning and have understood more – your words run deep indeed. I am aware of timelines dissolving or becoming accessible and have been thinking of this often these past months – and once I read about a man who could step in and out of his timelines and he used this skill to bring his artistic abilities from one life to another. Blessings.